After the snuggly, bakery-filled stasis of the holiday season, the year is getting rolling again. I have started the year with some volunteering at ASU. 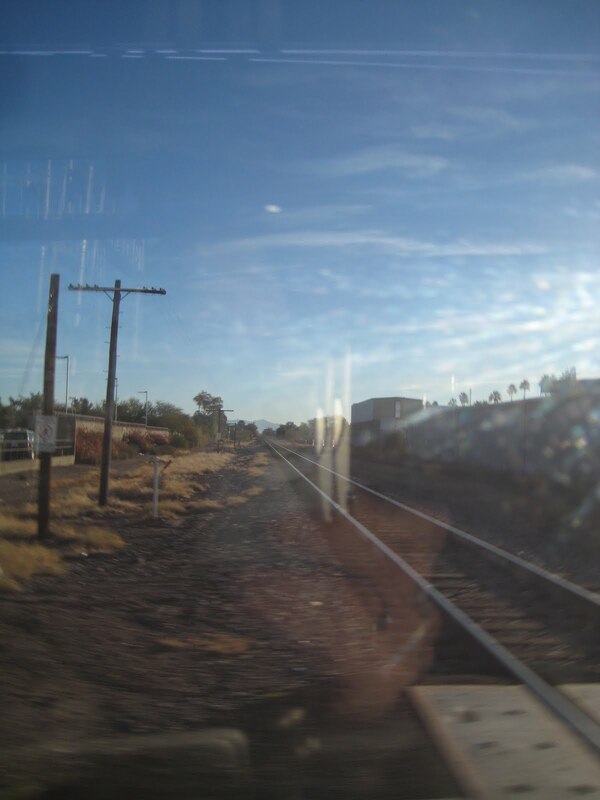 Traveling to ASU can only mean riding the bus, and that can only mean knitting on the bus. I’m coming out of a bonnet jag. 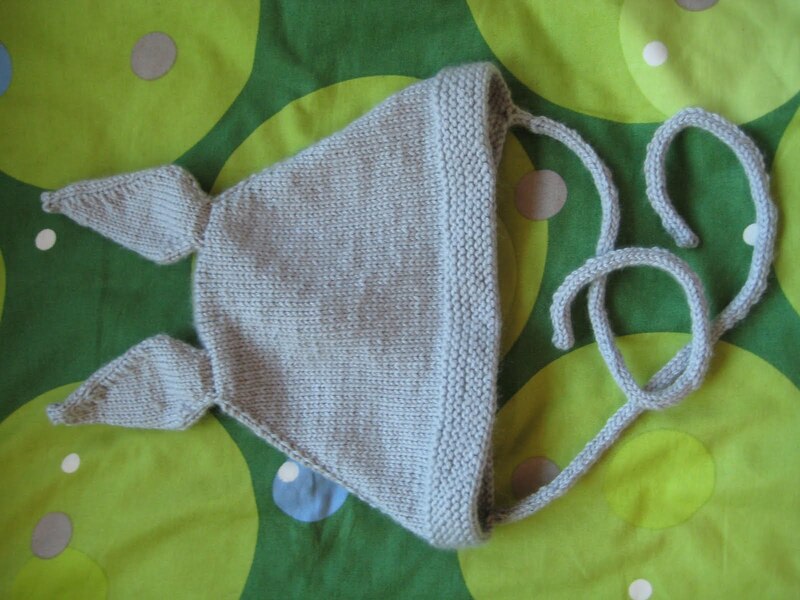 The pattern, as you may have guessed, is HelloYarn’s Top-Down Bonnet with Anime Character, aka the Totoro bonnet. I had downloaded this pattern ages ago, but put off making it because I was intimidated by the figure 8 cast on. I shouldn’t have worried–Adrian put together a tutorial for that, and I can attest that it comes out ok even if you forget to untwist the stitches on the second needle. 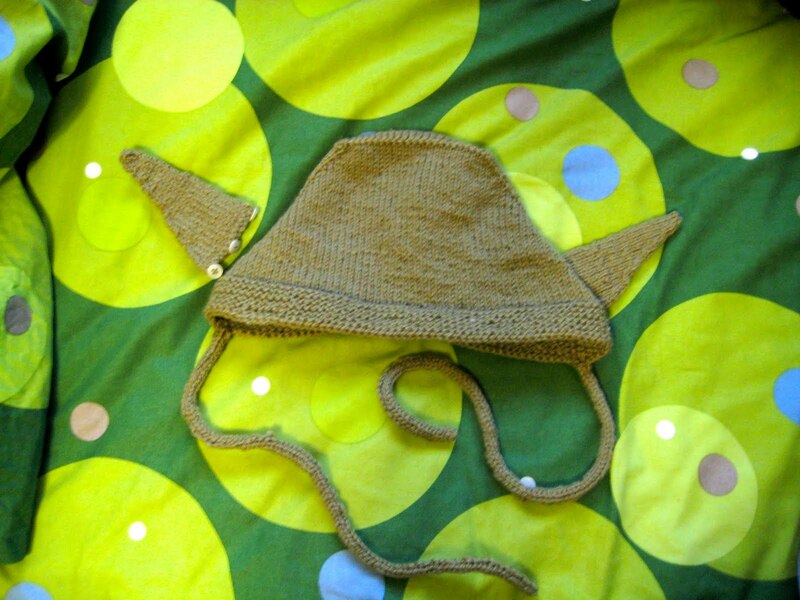 Notes–the Yoda bonnet is knitted with the discontinued Silk Road Aran, which is a little too hefty. The Totoro version, knit with Debbie Bliss Cashmerino DK, has more give, which is ideal for a bonnet that stretches to fit snugly around the wearer’s head. Having worked the back of neck decreases as written for the Yoda bonnet and been unhappy with the fit, I adjusted the rate of decreases for the Totoro Bonnet for a gentler slope. Full list of mods Ravelled here. Digging the Silk Road out of my stash has reminded me of all the yarn I own–and like!–so I do believe the next jag will be a Stash-knitting jag.